You'll be £12.99 closer to your next £10.00 credit when you purchase Gallipoli. What's this? 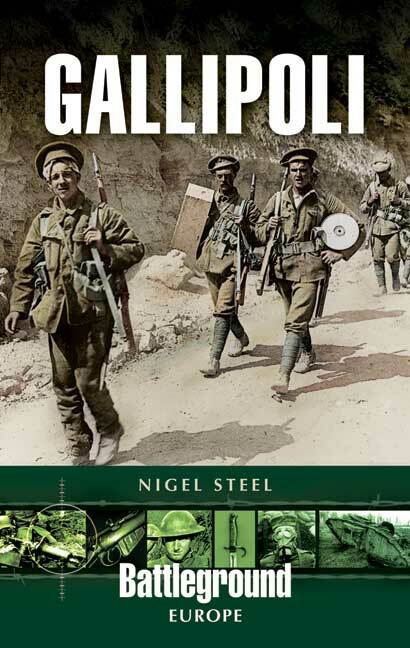 Gallipoli tells of the disastrous campaign at Gallipoli in 1915 when the allies failed to knock Turkey out of the war. With then and now photographs the book provides detailed historical descriptions of the area and the events, all of which will appeal to the armchair historian and the intrepid visitor to the sites. It will prove an indispensable companion. The Gallipoli Peninsula, which guards the opening to the Sea of Marmara, became the scene of heavy bloodshed when Allied forces first attacked Turkish forts there in February 1915. British and French battleships proved superior to Turkish land-based artillery, but naval mines decimated the Allied fleet, forcing a land battle that, over the course of nearly a full year, resulted in 250,000 Allied casualties. Roughly an equal number of Turks were killed or wounded.